Clock Tray Skins is a useful application that extends the standard Windows system tray clock capabilities by adding a day, date and seconds display, as well as a choice of different skins. 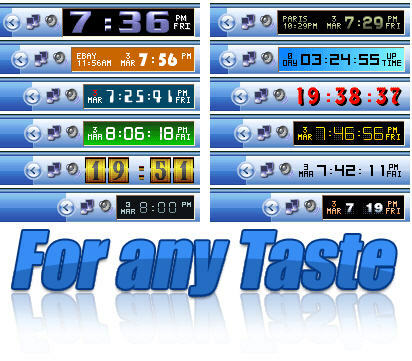 Displays the time for any of the time zones. Over 60 skins are included in the distribution. It's also an atomic-time synchronizer and calendar.